The Best Expat blogs from thousands of top Expat blogs in our index using search and social metrics. Data will be refreshed once a week. Also check out Top Expats Youtube Channels list for Top videos on Expat. 2.10 Sydney Moving Guide - Written By Expats, For Expats. 2.33 Upraised Living | Filipina and Londoner. Expat newsletter is a comprehensive summary of the day's most important blog posts and news articles from the best Expat websites on the web, and delivered to your email inbox each morning. To subscribe, simply provide us with your email address. About Blog Interviews of people living abroad and expatriates. Expat news, giving global new for expats around the world, customs, lifestyle, finance and practical articles. Facebook fans 2,043. Twitter followers 17,376. UK About Blog Expat Network has become the leading UK-based organisation for expats seeking work and assistance overseas. Find the latest expat jobs, news and resources here: money, tax, relocation, healthcare, property. Facebook fans 14,334. Twitter followers 2,134. About Blog We are a non-profit organization that helps expat women all over the world before, during and after their relocations. We promote respect and interest amongst different cultures, mutual support, online communication and positive sharing. Facebook fans n/a. Twitter followers 1,508. Canada About Blog We provide global insurance plans for individual expatriates and global employers around much of the world. We can offer expats international health insurance plans from well known global insurance companies. Expat Financial also sources coverage for expatriate life and disability insurance and travel medical policies. Facebook fans 5,291. Twitter followers 1,050. Panama and Florida About Blog I am Susanna Perkins. If you are Planning an international move, and supporting yourself once you get there are the biggest obstacles future expats face. Future Expats Forum provides the information you need. Facebook fans 936. Twitter followers 1,582. Pretoria, SA About Blog Hello! My name is Carole Hallett Mobbs. In 2006, when our daughter had just turned five years old, we left Britain to start our expat life.This blog covers information and advice for parents of expat children. We're not just for new expats either. Your Expat Child grows & evolves, just like us. Facebook fans 5,804. Twitter followers 11,135. Beijing About Blog My name is Richelle and I've been living in China and traveling around Asia for the last four years. Expat, traveler, and spicy food lover, I've spent the last few years living in China and traveling around Asia. In my spare time I enjoy salsa dancing, scuba diving and stuffing my face with street food. Facebook fans 2,827. Twitter followers 51,094. Hong Kong and USA About Blog Greenback's expatriate tax accountants have developed this library of info to provide you with important US expat tax advice and insight. Expert US Expat Tax Preparation. Simplified. Resolved. Designed to save you time and money. Facebook fans 2,765. Twitter followers 1,194. 10. Sydney Moving Guide - Written By Expats, For Expats. Sydney, New South Wales About Blog Hi, my name is Lauren and Sydney Moving Guide is my blog. I LOVE being an expat in Sydney but am fed up with all the misinformed and useless expat guides, not only giving bad advice to those making the move to Sydney, but also charging for it! So I created Sydney Moving Guide, written by expats for expats. Facebook fans 11,094. Twitter followers 2,441. Edinburgh, Scotland About Blog Travel & Lifestyle Blogger finding her feet in Scotland after living and working around the world. Keep up with adventures about living abroad and expat life from a serial migrator. Six homes down and counting. Facebook fans 3,803. Twitter followers 9,356. Los Angeles, CA About Blog I’m Kirstie Jeffries, a Californian expat, digital marketer, and travel addict. I’ve lived in Spain as an auxiliar de conversación and then worked in Australia on a working holiday turned 457 visa, before taking off on my current journey around the world! Facebook fans 1,750. Twitter followers 20,339. Amalfi, Italy About Blog Ciao! I’m Laura, a writer, photographer, art historian and social media marketing manager. The road to expat life in Italy for me was as twisty as the Amalfi Coast road; and I’m passionate about sharing an insider view of my home to help travelers discover and enjoy the most beautiful experiences on the Amalfi Coast. Facebook fans 43,273. Twitter followers 3,249. San Francisco, CA About Blog For expats & those looking to live abroad! Share your new home, immigration stories, relevant news and support the world community. Facebook fans 1,176,755. Twitter followers 535,550. Reykjavík, Iceland About Blog Welcome to Unlocking Kiki! I am Kaelene, Kiki to my friends, and the voice behind Unlocking Kiki. I am 27 year old from Oregon living the expat life in Reykjavík, Iceland. Unlocking Kiki is dedicated to sharing unique sights, experiences, and insider tips to Iceland from the perspective of a foreigner living in Iceland. Facebook fans 1,480. Twitter followers 1,372. Hong Kong About Blog An expat in Hong Kong who loves to travel and eat. Preferably together. Here you’ll find her worldwide travels, restaurant reviews based in Hong Kong, and day-to-day encounters as a former suburban girl now living in a concrete jungle. Facebook fans 647. Twitter followers 559. About Blog My name is Jo and I am the International Farm Wife. I hope you enjoy reading about my adventures in Canada (and around the world) as an expat, a farm wife, and teacher and most importantly a mother to two very spirited girls. Sydney About Blog I’m Annie the founder of Londoner In Sydney. I have started Londoner In Sydney to help those of you moving over to Australia and for expats already living in Sydney with tips and advice on settling in. Facebook fans 1,775. Twitter followers 330. About Blog I’m a working photographer and travel blogger, originally from the States, now living in southern China and travelling through-out Asia. As well as specific portfolio projects, and general categories of work, you’ll find my blog which touches upon expat life, and photography but focuses mainly on travel. Facebook fans 74. Twitter followers 5,571. U.S About Blog Bright!Tax US expatriate tax services blog features FACTA and FBAR news and in depth analyses of Amercian expat tax issues. Facebook fans 481. Twitter followers 2,621. About Blog This blog is dedicated to news on Expatriation and living abroad. Expat news, giving global new for expats around the world, customs, lifestyle, finance and practical articles. Facebook fans 5,953. Twitter followers 6,929. Italy/USA About Blog Hi, I am Elizabeth. An American Expat In Italy. This is a travel story, an honest account of my adventures, the happy moments, the spilled wine, missed flights, cultural misunderstandings and everything in between. Facebook fans 2,389. Twitter followers 1,648. Mexico City About Blog Hi I'm Laura Bronner, AKA the Eternal Expat. In the last seven years I've lived in Switzerland, New Zealand, Australia, South Korea, England, and now - Mexico. I want to show you that a life of travel doesn't require a ton of money or all that much bravery. I've been doing it for all this time without either of them. Facebook fans 1,736. Twitter followers 10,359. London, England About Blog Tripsget is a blog for young adventurous professionals and expats. We both work full-time and enjoy exploring the world during our vacations. Our aim here is to inspire you to travel more and help you organise your vacations in such way, so you manage to see as much as possible within a limited amount of time. Facebook fans 986. Twitter followers 11,878. 33. Upraised Living | Filipina and Londoner. About Blog This is a food, travel and lifestyle blog that features efforts towards better health, habits, and life in general. Follow my quest towards upraised living. Facebook fans n/a. Twitter followers 1,775. Sydney, New South Wales About Blog Expat and travel advice for everyone living in, or travelling through, Sydney. Information, news, and top tips to make the most of your time down under. Facebook fans 1,407. Twitter followers 1,462. Facebook fans 4,775. Twitter followers 1,540. Amsterdam About Blog Hey, I’m Lesley, an Aussie Expat living in Amsterdam! With this blog I am endeavouring to share with you my experiences from the world around us. The stories I share are, what I hope, inspiring you to travel more. Facebook fans 272. Twitter followers 952. Santiago, Chile About Blog Hi, I’m Lauren! I'm a 24-year-old expat living with a wicked case of wanderlust. Here on my blog, you’ll find everything from travel advice, destination guides, and a ridiculous love for food, to amateur photos, international shopping tips and other random musings. Facebook fans 933. Twitter followers 2,653. Singapore About Blog Hello, and welcome! My name is Sarah. Travel tips and ideas for families traveling through Europe and Asia on a middle-of-the-road budget. Facebook fans 114. Twitter followers 897. About Blog Expats in Mexico is The Expat Guide to Living in Mexico and is designed for both expats currently living in Mexico and aspiring expats who are planning to move to this beautiful country. We bring you a broad range of timely, truthful and trustworthy information and resources to help you lead a happy and successful life as an expat in Mexico. Facebook fans 1,373. Twitter followers 208. About Blog I’m Isabel, and I was born and raised in Mexico but currently live in Belgium. This blog started then as a way to document all the hits & misses and up’s & down’s of my adventures at Slovenia, the Sunny Side of the Alps. Facebook fans 1,095. Twitter followers 2,400. Frankfurt am Main, Germany About Blog I am originally from the UK and have been living in Frankfurt since 2013. I am sure that you will also notice that the official information from the authorities are mainly in German and can often be more confusing than helpful. Which is why I started to write this blog. The aim is to catalogue my experiences and knowledge in Frankfurt and surrounding areas. Groningen, The Netherlands About Blog Rachel's Ruminations is a travel blog focusing primarily on independent travel to historical and cultural destinations. Please contact me to talk about collaborations: sponsored or guest posts, fam trips, etc. Facebook fans 585. Twitter followers 8,363. San Juan del Sur, Nicaragua About Blog We’re Gordon and Elisha — a semi-retired Canadian couple who has been living and loving life in Nicaragua since December 2011. Currently we reside on Pacific coast in the colourful beach town San Juan del Sur. Together we created this blog so we could share our Nicaraguan expat experience with you. Facebook fans 2,344. Twitter followers 75. Porto, Portugal About Blog I’m a Canadian who moved to Porto, in the north of Portugal, in late 2013. Previously in Toronto and Vancouver, with expat stops in the USA, Scotland, and Australia. A freelance photographer since 2008, and an avid blogger posting daily since 2002. Facebook fans 1,243. Twitter followers 2,005. Geneva, Switzerland About Blog Geneva family diaries is a blog and website for expat families living in the Geneva region. Read about our adventures, share tips and advice on topnotch things to do, places to go and the best baby-friendly restaurants in town. Facebook fans 2,858. Twitter followers 284. Rome, Italy About Blog Expats living in Rome an International Social Network run by expatriates living and working in Rome. Our goal is to help one another and make life a little easier while making Rome our Home. Surround yourself with people who are motivated or already living in Rome, who may be able to provide you some helpful tips. Facebook fans 11,915. Twitter followers 2,528. Amsterdam, Netherlands About Blog We Sean and Jessica, a couple who craved the European lifestyle, so we sold everything and moved to Amsterdam to be able to travel around Europe. We share stories and tips about expat life and travel while encouraging fellow European expats to get out and explore even if just for the weekend. Facebook fans 508. Twitter followers 5,032. Seattle, WA About Blog A travel and lifestyle blog of an American expat living in Madrid, traveling, photographing, and eating gluten-free through Spain and Europe. Facebook fans 473. Twitter followers 3,441. Abu Dhabi, UAE About Blog Arabian Notes is a blog by lindsey parry who writes about life as an expat in Abu Dhabi, answering questions people might have about living in or visiting the capital, sharing her favourite aspects of the city and things to do, thoughts on life and culture and more. Facebook fans 2,639. Twitter followers 2,644. South Aegean, Greece About Blog I’m an expat and I love expat life. I’m a wife and a very happy one. Mainly focused on Greece and the islands we are discovering the real Greece in every season. Getting to know the locals and learn how to live life in a simpler healthier way with food in season produced locally. A combination of recipes and reviews, travel advice, personal blog and Greek island lifestyle. Facebook fans 3,505. Twitter followers 567. Facebook fans 4,408. Twitter followers n/a. Okinawa, Japan About Blog I'm Laura, a 20 something military wife and expat living in Okinawa, Japan! I'm an island girl, a cafe lover and a wanderluster at heart. Little Island Takara is where I document our adventures in Okinawa, our travels, and all the beautiful places in between. Facebook fans 622. Twitter followers 531. The Netherlands About Blog Hello! I'm Elizabeth, a type-A travel lover and freelance writer. Along with my three energetic little boys and loving husband, we are exploring Europe in search of amazing experiences. Best of all, I get to share our adventures and top finds with you! Facebook fans 640. Twitter followers 820. Singapore About Blog Moovaz is an all-encompassing relocation service built for the modern world, with a proven record of making relocation seamless and fuss-free for clients globally. We are committed to deliver convenience and service excellence, first time, every time. Facebook fans 422. Twitter followers 63. Nairobi, Kenya About Blog The ‘Africa Expat Wives Club’ blog was created 2006 as a vehicle through which to describe life in Nairobi today. To clarify, there is no ‘Club’ and this site is certainly not just for expats, it’s simply intended for anyone who might be interested in looking through this particular window on life in Kenya. Facebook fans 1,499. Twitter followers 100. England, United Kingdom About Blog Hi there! I’m Sarah. Welcome to Endless Distances, where I write about how I try to make daily life an adventure. On this blog find about my travel, fitness, expat life and much more. Facebook fans n/a. Twitter followers 310. About Blog Relocate to Sweden are relocation experts who assist companies recruiting or transferring staff to Sweden. We offer carefully designed services for all your relocation needs and help your employees smoothly navigate their move to Sweden while staying focused on their jobs. Facebook fans 251. Twitter followers 22. San Francisco About Blog My name is Katherine and I am an Aussie living as an expat for the second time, in San Francisco. Facebook fans 460. Twitter followers 666. Philippines/Singapore About Blog A Lifestyle Blog of a Filipina in Singapore inspiring urban striving women to explore life’s surprises through food, travel, books and family. Facebook fans 1,091. Twitter followers 283. Kuala Lumpur About Blog An expat personal style, travel and lifestyle blog with inspiration and tips for travel, beauty and fashion by an Indonesian blogger currently living in Kuala Lumpur. Kuala Lumpur About Blog Hi, I’m Riz, currently an expat in Malaysia. I’m on a travel mission across the world without quitting my job! How will I do it? Join my journey as I explore each and every wonderful City, unravel history to reach my dream. Work. Family. Eat. Love. Travel. Repeat. Facebook fans 2,479. Twitter followers 778. Sydney, New South Wales About Blog UK-based travel blog from a thirty-something balancing eternal wanderlust with a full time job. And the necessity of eating glutenfree whilst on the road. Facebook fans 49. Twitter followers 399. About Blog The adventures of Gary & Elizabeth. We left our home in Austin, TX, in April of 2017, and are now living in Puerto Morelos, Quintana Roo, Mexico. It’s us, our two dogs Bessie and Sadie, and our cat, Wookie. Dublin City, Ireland About Blog Welcome! I’m Grace, and I’m a serial expat. I’m a Canadian living in Dublin, and I also work in expat tax, so I live and breathe global mobility on a daily basis. I want to help other globally mobile people optimize their experience and live freer, more productive, and more creative lives. One of the ways we can do that is to talk about our experiences and share our knowledge. Facebook fans 33. Twitter followers 296. Singapore About Blog The Expat Mama was started in August 2016 just days after I had arrived in Singapore as a trailing spouse. Initially The Expat Mama was to be a diary of our expat adventure.We have now settled into life as expats. We love Singapore and the opportunities it offers to travel around the region. We love the culture, the food and the people. But most of all we love the memories we awe are making. Facebook fans 373. Twitter followers 171. DUbai About Blog Expat life, family and travel with teens and a cat and a dog. UK to South Africa to Dubai. Facebook fans 154. Twitter followers 2,599. Bogota, Colombia About Blog Flavors of Bogota is the creation of Karen Attman and Peter Corredor, two people who are in love with food and the growing restaurant scene in Bogota. Karen left her hometown of Philadelphia to pursue expat life, and she’s still loving it. Facebook fans n/a. Twitter followers 3,286. Bergamo, Italy About Blog Jasmine is a pharmacist turned blogger and professional wine drinker from Alberta, Canada living "the sweet life" in Bergamo, Italy. Questa Dolce Vita is an expat in Italy blog that focuses on living in Italy, international travel, and cultural differences. Facebook fans 1,112. Twitter followers 2,273. Xi'an, China About Blog Hey there! Nice to see you. I'm Nicole - a former News Reader with Sky News Australia turned Expat, Writer and Mum in Hong Kong, before heading to deepest, darkest China and then back again to Sydney. Jump on board and enjoy the musings with with me, my hotelier husband and hyped up blondie. Facebook fans 5,396. Twitter followers 3,986. About Blog The purpose of this blog is to show a wider picture of the Czech Republic than just the capital city. Prague is a lovely city that I encourage people to visit, but there is just so much more this small country has on offer to the visitor and expat alike that it would be a shame if you didn't venture past the confines of Prague itself. About Blog Ramblings of an ex Canadian/British expat. This blog is based on my move from England to Canada in 2003, and everything else that I decide you should know, about my life as an ex-pat and my life generally. I am a trained journalist, as well as a licenced Realtor, a published author and a business owner. All of this will be covered in my blog in time because I want you to know everything about me! Because otherwise what is the point in a blog?Please enjoy my writing. Panama About Blog Our decision to move to Panama was in the works for many years. Now that it has come to fruition, this blog is our way of sharing our experience as world travelers and expats in Panama. Our hope is that you too will be inspired to jump out of your comfort zone and find the thing that floats your boat — and perhaps even plan an escape of your own! About Blog Keep up with articles from Vibing with John. About Blog From how to organise an overseas move to what to do in the event of an earthquake, the Expat Partner’s Survival Guide is a light-hearted yet in-depth guide for anyone accompanying their partner on an overseas assignment. Facebook fans 588. Twitter followers 1,820. New York, NY About Blog My name is Lauren. I lived in Sydney for 3.5 years and just recently moved back to the US for an adventure in NYC. I blog about Sydney expat life, travel and writing and now also life as a newlywed repatriate. Facebook fans 2,159. Twitter followers 5,589. About Blog We're Rob and Diane, an American and a Canadian. After an unexpected layoff we decided on early retirement. It sounds like more fun than work. After we sell our house and stuff, Malaysia is our destination. Our blog is about becoming overseas expats. About Blog Kerstin started 'my Manly Blog' back in 2014 when she first moved to Manly. It was her way to keep in touch with family and friends as well as a place to share her experiences as an expat. Facebook fans 161. Twitter followers 47. About Blog This is a blog about expat life, raising multilingual and multicultural children, and travel. I write about life as an expat, the feeling of having several different “homes” scattered around the world, trying to raise multilingual children in my cross-cultural, East-meets-West marriage, and of course traveling the world. Blog by Mariam Navaid Ottimofiore. Facebook fans 1,634. Twitter followers n/a. England About Blog From a holiday romance to living in Turkey, long distance love to marriage, visas & settling in the UK together. Subscribe to keep up with latest updates from this blog. Facebook fans 5,765. Twitter followers n/a. Wales About Blog Greetings and welcome to my little corner of the world. My name is Belinda. An American expat living in Wales after a 18 month long distance relationship, making sense of life in Britain. Travels around Europe, adventures in Wales plus enjoying and living an overall positive outlook on life. Facebook fans 867. Twitter followers 2,857. Oman About Blog I am Joanna, raised and born in the Philippines. I am currently based in Oman working as a nurse. I have been living as an expat in Oman for almost 5 years now. I started blogging to share my life and adventures as an expat and my enthusiasm to travel and wander around the world. Facebook fans 1,609. Twitter followers 38. Shanghai About Blog Hello fellow Expats! I am Daniela. Throughout my formative years my grandmother taught me many things but most of all she gave me a passion for cooking. She shared traditional recipes and family culinary secrets passed down through the generations. It is the greatest gift anyone could have bestowed upon me and now I want to share that gift with you. Facebook fans 580. Twitter followers 56. Budapest, Hungary About Blog Welcome to Amy and the Great World! I'm Amy, the girl behind the blog. I have taught English and traveled as much as possible for the past few years, and I'm currently teaching first grade in Budapest, Hungary. At Amy and the Great World, I strive to provide travel tips, photos that will inspire wanderlust, and a snapshot into my life as an expat. Facebook fans 102. Twitter followers 596. About Blog After coming to live and work in Russia in late 2016 I found that there wasn’t much good quality information for expatriates like us. So why just sit and criticize other resources when you can just create your own. RULEXPAT is made by expats for expats. Facebook fans 484. Twitter followers n/a. Wurundjeri land (Melbourne) About Blog Hello and welcome. My name is Cosette and I’m the writer here. I blog a lot about being an expat and have been featured on Blog Expat, Expat Focus, Expats Blog, InterNations, Expat Arrivals, and Globehunters. Tokyo About Blog The Curious Guide to Japan is about life on the ground through the eyes of an expat who came to Tokyo for two years and stayed for twenty-five! Facebook fans 90. Twitter followers 1,464. Stockholm, Sweden About Blog Follow the life, times and travels of 30-something petite Canadian expats as she navigates life in Europe, and exploring the world one weekend at a time. Facebook fans 390. Twitter followers 1,295. Scotland, United Kingdom About Blog This is a cultural blog for travellers, expats and creatives. This is the right place for you if you love to travel, if you like a nice adventure and if you love good books and good food. Facebook fans 96. Twitter followers 1,063. Brisbane, QLD, Australia About Blog Welcome to Alkeks Abroad! I’m Courtney, an American expat who lives in Australia and the voice behind the blog. On Alkeks Abroad you will find a mix of posts on our life as expats, our life as just plain humans, our travels and anything else I deem blogworthy. Facebook fans 180. Twitter followers 139. About Blog Welcome to Adventurings - A travel blog by Cynthia, an American expat living in South Bohemia, Czech Republic. On this blog, i write about this adventure as an american expat and all of the travels that have fortunately come along with it. About Blog Follow along on our adventures as we travel across Andalusia, Spain, and broader Europe as part of our journey as a military family. About Blog I am originally from Michigan in the United States. I am a writer and amateur photographer living in Wolfsburg, Germany. This blog contains Stories from my life and travels as an American expat in Germany. About Blog 5 years ago I packed my backpack and what was going to be a 2 months trip became the journey of my life. Martu, from Buenos Aires, Argentina. I studied cinema, makeup artistry and then I became a traveller-expat. I’ve changed paths many times in my life until I found my own journey: the inner one, the one that expands, shapes and makes life challenging and fun. Kenya About Blog This blog is in part confessional; detailing my experiences with anxiety together with my struggles with motherhood and life in a foreign country, part travel blog, and partly created from a desire to share my experiences with others. I hope that for someone out there the ordeals of expatriation and life in Africa might be smoothed with the some of the knowledge and understanding I've gained. Facebook fans 1,342. Twitter followers n/a. Facebook fans 4,866. Twitter followers 3,451. About Blog Third Culture Professionals is a job search blog for the Expat Accompanying Partner who wants to return to work after a career break. It offers free practical job hunting and interview advice, motivation and tips from other Expat Partners and Experts. Founder Brid Doherty-Appriou has lived and worked globally as an Accompanying Partner, Expat and Executive Search Consultant. About Blog Ours began as the classic ex-pat story in 2012. Darling husband got an overseas post; I went from being a Working Spouse to becoming a Trailing Spouse. About Blog Hi, I am Ashley and welcome to Cheers Blondie! I am originally a Florida girl, but made Washington, DC my home before settling in Edinburgh. I started Cheers Blondie to share my adventures and poke fun at the culture differences between America and Scotland. I write about my expat experiences including my day-to-day life in Scotland, traveling around Europe. Bordeaux About Blog A blog about Expats living in Bordeaux, France. English speaking community. Useful information about the city of Bordeaux and the surrounding area. Facebook fans 1,797. Twitter followers 941. Ipoh About Blog I was born in the Netherlands to a Dutch/Irish Family. Since then I have lived in Norway, Nigeria, Turkey and Venezuela. Our current home is in Jeddah, Saudi Arabia. This blog is about how we muddle through daily life as expats and how things have changed from the adventures of my childhood. Facebook fans 90. Twitter followers 1,739. California, USA About Blog I'm a veteran Brit expat living the life in Sunny California. I’ve been here for about 20 years now and yes, I can be a bit gobby. These are my observations, comments and sometimes rants about the differences between my home and my adopted home. Facebook fans 549. Twitter followers 268. Melbourne/Manchester About Blog Welcome to Half a World Away! I'm Katie, a British girl that moved from the UK to Melbourne 2 years ago. Here you'll find my ultimate guide to solo female travel, expat advice and what it's like to live on the other side of the world in your 20's. Facebook fans 43. Twitter followers 881. Czech Republic About Blog Welcome to Czech Off the Beaten Path. I am an American expat living in Czech Republic, I'm a freelance editor and writer, sharing info about the Czech Republic and experiences about expat life. Facebook fans 52. Twitter followers 742. About Blog Embracing a life of change and adventure as newlyweds, feeling exciting and challenging at the same time. Portugal About Blog byRaDe is an entrepreneur and free-lance writer. She currently resides in Portugal with her ex-pat family. byRaDe’s columns deal with life as she observes it and currently focus on the many, small, big, fun, awkward, obvious, hidden, everyday and in your face differences that are so there when living in another culture. About Blog HI, I am Sami, Portuguese, born in Mozambique, I have also lived in South Africa,Germany, Portugal and now living in Australia. I love crafts, painting, reading and travel. I blog about anything that I find interesting from our travels, to recipes, cats, crafts, decor and ofcourse expat life. About Blog I am a Canadian expat woman a mom and wife and Non Profit Executive who is living a new adventure in Mexico. This is my story of what it’s like to make the craziest move of my life and the daily adventure of working in an orphanage in small town Mexico. Mountain View, CA About Blog Comprehensive up-to-date news coverage about Expat, aggregated from sources all over the world by Google News. About - Your guide for moving to and living in London. About - From a holiday romance to living in Turkey, long distance love to marriage, visas & settling in the UK together. About - Bringing Up Brits shows what life is like for a non-British mother raising children in Britain today. Nearly a quarter of all births in Britain are to foreign mothers – this is a significant part of the population and an important influence in our communities. About - I'm Lena, I moved to the UK in 2015 and call Cambridge my current home. On this blog I'm sharing my experience of living abroad and building a life in England. 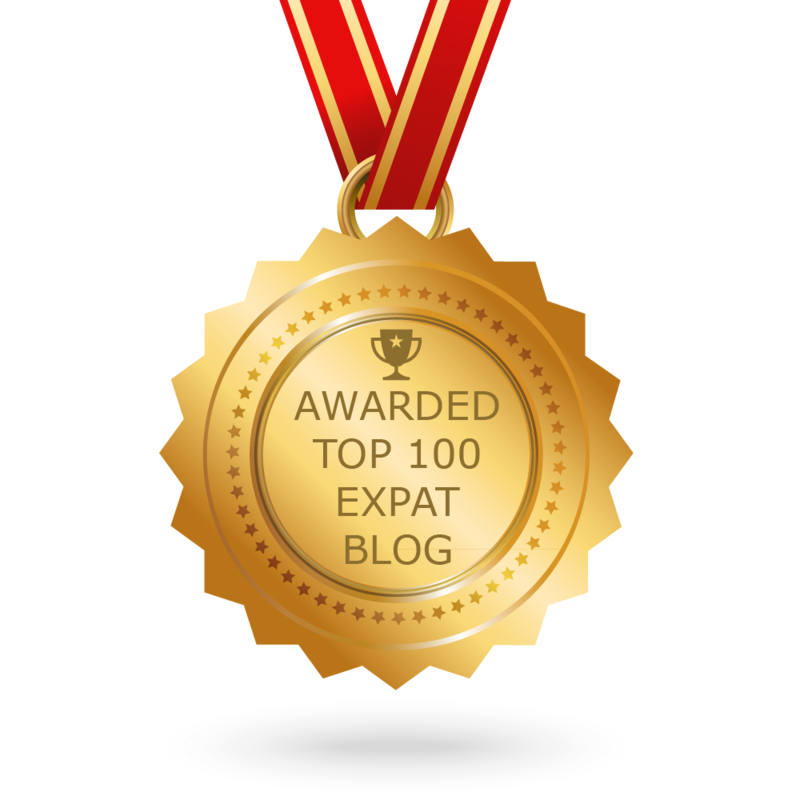 CONGRATULATIONS to every blogger that has made this Top Expat Blogs list! This is the most comprehensive list of best Expat blogs on the internet and I’m honoured to have you as part of this! I personally give you a high-five and want to thank you for your contribution to this world.